1) Textile industry - dyeing machine, drying rooms, high temperature machine, resin setting machine. 2) Food industry - cooking, drying, vegetable oil refining. 3) Chemical industry - oil chemistry, polymer industry, reaction tanks, distillation, concentration. 4) Plastics industry - plastics fired, extruded shape. 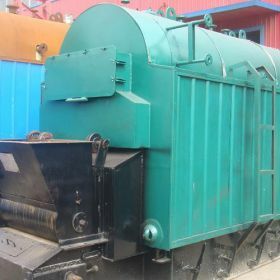 1) The small scale chain grate boiler could resist the temperature as high as 1200℃, long working life. 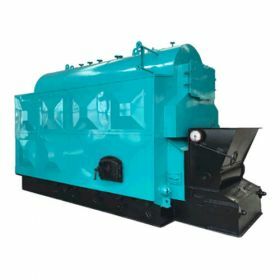 2) The chain grate has a low coal leakage because of the small gap. 3) High automatic degree, decrease labor cost. 4) Convenient for maintenance, it could be done without boiler shut down. Textile industry - dyeing machine, drying rooms, high temperature machine, resin setting machine. 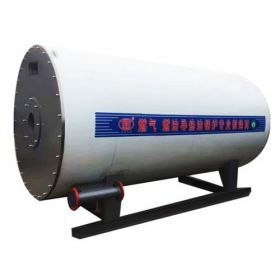 Food industry - cooking, drying, vegetable oil refining. Chemical industry - oil chemistry, polymer industry, reaction tanks, distillation, concentration. Plastics industry - plastics fired, extruded shape. 1) The spirally corrugated tube strengthen the heat transfer, improve thermal efficiency. The flue gas has the foundation of disturbance, avoid ash depositing in tube. 2)The furnace wall was poured entirely by the heat-resistance concrete and high-temperature-resistance refractory brick, and Kingthai boiler shell uses aluminium silicate board for heat preservation, low heat loss. 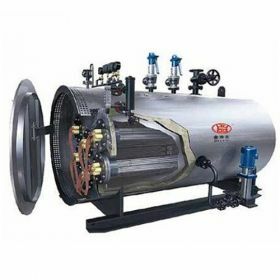 3) Equipped with economizer, make full use of the heat of flue gas, decrease the exhaust smoke temperature, increase thermal efficiency.